We've reached the next stage of cruise control. First came the blind and basic stick-to-a-set-speed system. 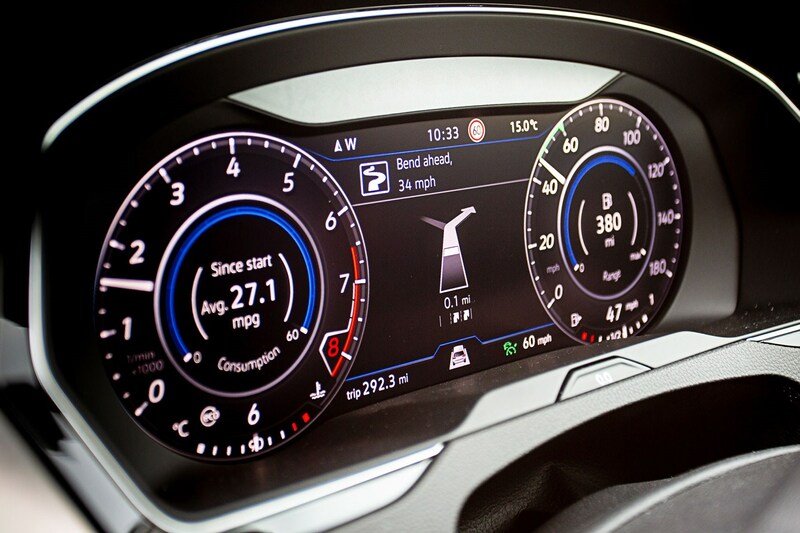 Then, in adaptive cruise control systems, radar and cameras would combine to guide braking and acceleration to keep you a set distance from the vehicle in front. 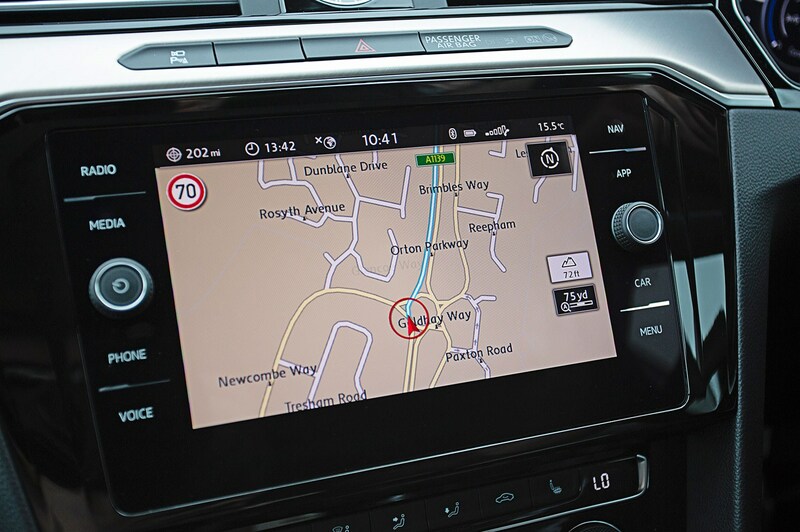 Now we're into the next phase: the car knows where it is and knows what's coming up – roundabouts, sharp bends, crossroads – so it can adjust its speed accordingly. 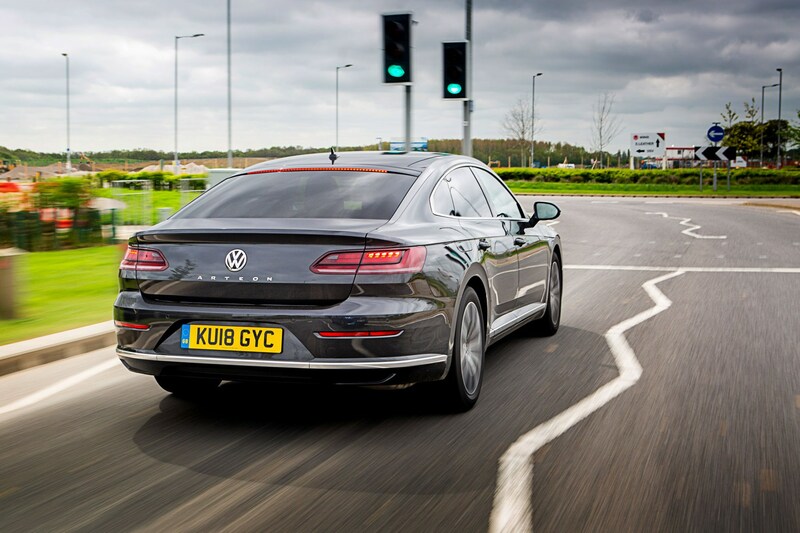 The Predictive Cruise feature fitted as standard on all versions of the VW Arteon isn't the first of its type, but it's one of the newest systems, and the car is more affordable than the Mercedes S-Class that leads the way with this sort of thing. We tried it on dual carriageways and country roads near CAR's Peterborough HQ. The idea was to put our faith in the system, and see if it would save us from ourselves if we attempted something unwise. Out in the sticks, on 60mph-limit lanes with the cruise set to 60mph, the Arteon reacted well to three sharp corners. It slowed down to around 30mph in all three cases, allowing a smooth swoop around the corner, then accelerated. For the most part the system was similarly effective on dual carriageways. Several approaches to roundabouts were handled successfully, the car slowing down in time to give a good view of the traffic we'd have to give way to. But on one occasion, driving up to a roundabout the car had previously dealt with successfully, the system decided to drop anchor around 400 yards early, startling the road users behind us. We don't know why. The car was clean, it was on a straight part of dual carriageway and in the right-hand lane, so the scanners would have had a clear view of the road ahead; we weren't asking the system to process the complex protocols of undertaking. VW says it's not aware of any issues with the system that would have led to this, but wanted to stress that adaptive cruise isn't infallible, so the driver must always be switched on and ready to brake. 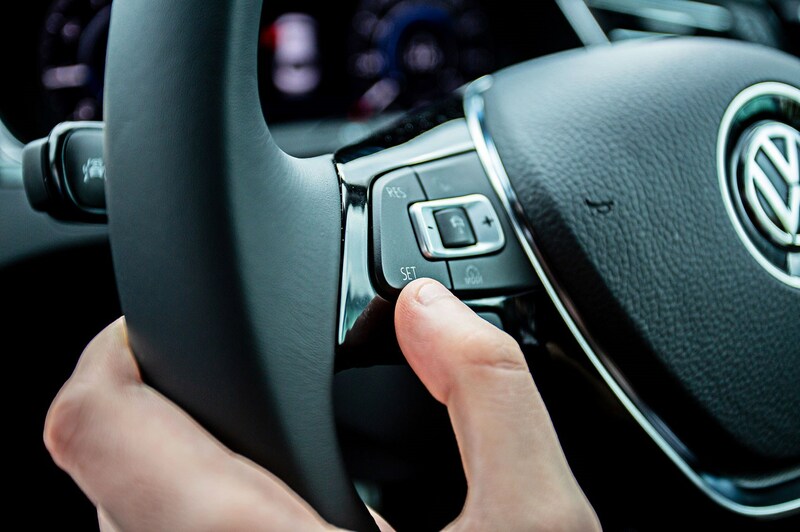 Predictive element of cruise built into wheel-mounted buttons with no dedicated switch of its own. System will have a good guess at where you're going, whether or not you've input a destination or route. Car tells you what it’s aware of and what speed it plans to adopt. You can override it. Mostly. But it really depends on the navigation data it has and if the various scanners and radar have the clearest view; it worked on plenty of different road types, both urban and in the sticks, pretty well. The particular time it didn’t work was startling. Afterwards, it resumed working as it had been doing before that rogue incident. It’s a useful assistant, but it should never be operated as something you can fully lean on to drive for you.